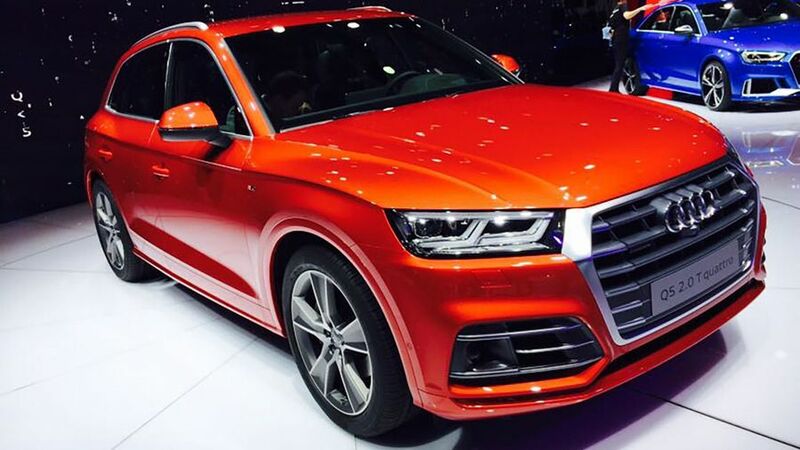 The all-new Audi Q5 has been revealed at the Paris Motor Show, and is due to go on sale early next year in the UK, designed as a rival to the Mercedes GLC, BMW X3 and Lexus NX. 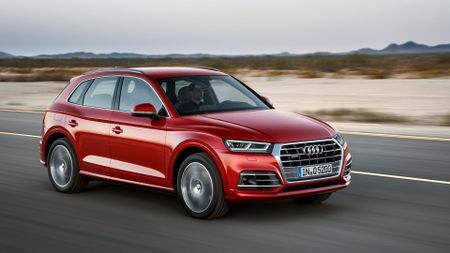 The Q5 has been a hugely popular SUV for Audi – which has now sold over three million SUVs worldwide – and the latest model comes packed with hi-tech features, a lightweight body structure shared with the latest A4 saloon, and a range of new four-cylinder and V6 engines. A plug-in hybrid and high-performance SQ5 and RS Q5 are both in the pipeline. Luckily the styling – while still conservative – is unlikely to be as divisive as the rather droopy seven-seater Audi Q7, with tighter proportions, shorter overhangs front and rear, and the same strong feature line running along the sides, as seen on the Audi A5 and A5 Sportback. That is despite the fact that it’s also bigger than before in every direction – taller, wider, and with more space between the front and rear wheels – which means a roomier cabin inside. On the gadget front, the Q5 has an in-car Wifi hotspot system that gives you permanent web access on the go, supported by a sim card charged at a flat rate for data, and free for the first three years. 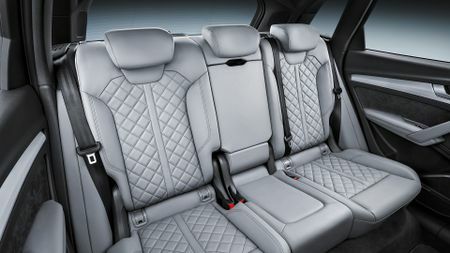 An optional tablet can be fitted to act as a rear entertainment screen, and massage seats are offered for the first time, plus wireless smartphone charging, and an app to control. The sat-nav system now has a ‘Personal Route Assistance’ that will learn your most regularly driven routes, tally that information with where you park it in the evening, and pre-programme the sat-nav to the destination it thinks you’re most likely to want next. Spooky. Safety is also high on the agenda, with a huge range of active assistance systems, including semi-autonomous driving, bundled into three option packs: Tour, City, and Parking. Simple. With five powerplants available at launch, Audi will be hoping it has made a Q5 for everyone. The single petrol option is a 2.0-litre turbo with a respectable 248bhp and four-wheel drive, which emits just 154g/km of CO2. On the diesel side, buyers can opt for a 2.0-litre unit with either 148bhp, 161bhp, or 187bhp which again feature two- and four-wheel drive respectively, and a choice between a six-speed manual or Audi’s smooth S tronic seven-speed dual-clutch automatic transmission. Those after more power are in luck, with a 3.0-litre TDI with 282bhp and a massive 457lb ft of torque. A hotter SQ5 with a twin-turbo 3.0-litre V6 producing upwards of 340bhp is planned, while the RS Q5 will be even quicker, with closer to 500bhp from a twin-turbo petrol V6, an engine Audi is sharing with Porsche, and that could also power the RS4. The interior is closely modelled on the Q7, with a central infotainment screen backed up by a 12.3-inch ‘Virtual Cockpit’ that displays key driver and map info, instead of normal dials. 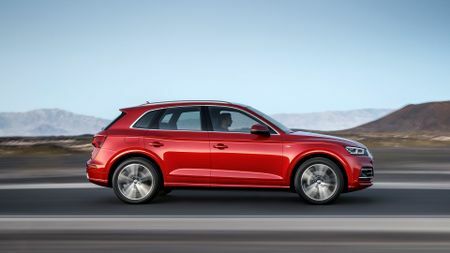 The new Q5 should still be a practical beast too, with 550 – 610 litres of boot space (10 litres more than the old car) behind the rear seats, and 1,550 litres of luggage space when the seats are folded flat, so carrying all the family clobber should be no problem at all. Those rear seats recline, and can also slide forward and back, if you do need extra space in the boot or more legroom for your passengers. The tailgate is powered as standard, and if you choose the optional air suspension, it can also lower the boot height automatically for easier loading and unloading. Naturally, Audi claims the new Q5 feels sportier to drive but also more comfortable than its predecessor. It has a fine-link suspension system, and electrically-assisted steering, with the option of a variable steering ratio that makes it easier to park and steer around town. There are two suspension choices, a standard setup with adaptive dampers, controlled via the familiar ‘drive select’ button on the dash, and a full magic carpet set of air springs, with five different height settings – a sports rear differential on the most powerful V6 TDI. While 17-inch alloy wheels are standard fit for SE models, Sport and Design versions get 18-inch rims, and optional alloys up to 21-inches in diameter are available if you so desire. The new Q5 will be built at an all-new factory in Mexico, with first deliveries in January 2017, and the base starting price in Germany for the 2.0-litre TDI is the equivalent of £38,000 – although final UK spec and prices will be announced closer to the launch.